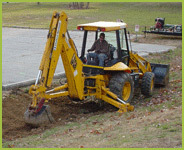 Excavation, Directional Drilling, and Much More. SE Sciences’ early company conception was grounded in the traditional mechanical remediation disciplines; including conceptual design, pilot testing, in-house system fabrication, and in-house system installation construction services. SE Sciences construction service operations were specifically developed to address the inherent difficulties stakeholders face in trying to implement a remedial design utilizing general construction contractors who possess only limited or intermittent knowledge of environmental based projects. 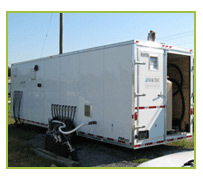 SE Sciences construction services team is an industry leader in environmental remediation projects, possessing the unique set of skills necessary in providing dependable consistent results. Our construction staff is a unique blend of environmental foremen, operators, and professionals with unparalleled experience and expertise in the areas of excavation, remedial system installations, directional drilling, horizontal well placement, construction health & safety, and much more.